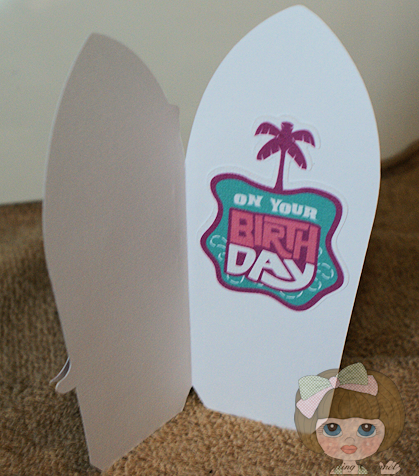 Card cut from Greeting Cards Inside & Out. Popped up the Mermaid and the word Splash. Used Glossy Accents on all the pink on the mermaid and word. Added a diamond to her belly button. I think she is cute. How about you? Inspire Me Fridays 70 - Anything Goes! I'm really lining seeing you use this whole cartridge. I made one card from it and never did anything with it. I happy you enjoyed seeing some of the card from the cart. I removed it from my desk after this card so I would not be tempted to make another. This card is so cool! I really like it! Super cute card!! I love the colors and the entire card is perfect! This is great! Yes, it's very cute! OMGosh. This is so CUTE!!!! Love it. Thanks. I knew when I posted this you would like since it has a mermaid. Very Pretty,Nana!! !Hopefully by Christmas I will be getting the Imagine...LOL...It absolutely adorable!! Thanks sweetie. I hope you get one too. I love mine. Just checking in on some emails and I had to tell you how FAB this card is! LOVE the shiny letters. Speak to you when back. Great shape card! So pretty! What an awesome card!!! Glad you could come join in Diana's Birthday Blog Hop celebration! She is sooo cute! Such a fun shape too! Cute card I like that you used glossy accents and you made them pop. Thanks for sharing, God bless. Your mermaid is so pretty and shiny. What a sweet card! Love the shape and great cuts!!! Adorable Nana!! SO gorgeous the Splash is!! 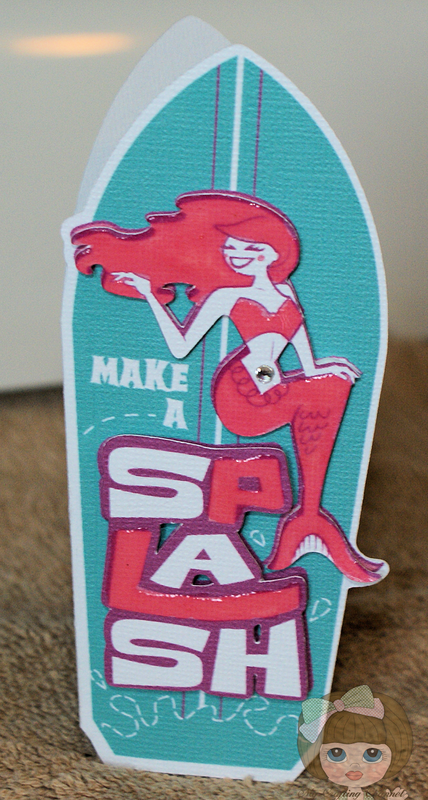 Oh Nana, that is the cutest Mermaid. Love how you embellished her. Good job!